Left will herald real fight for change in the country, said CPI(M) general secretary Sitaram Yechury, calling for ‘Save Bengal, Save Country’. 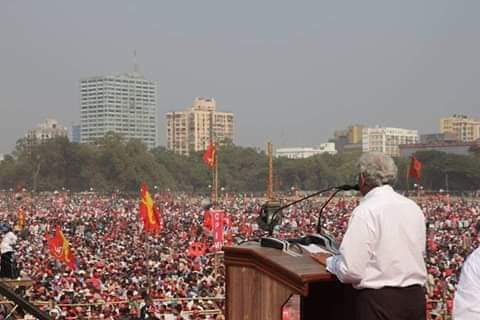 Kolkata: On Sunday, Kolkata’s Brigade Parade Ground turned into a ‘red sea’ of humanity as over a million people gathered for a Left Front-led rally and pledged to oust the BJP government from the Centre and the Trinamool Congress (TMC) government from West Bengal in the forthcoming elections. Since morning the ground resounded with inspiring people’s songs of the Indian People Theatre Association, Rabindra Sangeet, songs by Salil Chowdhury and Kaifi Azmi among other progressive artistes. “The anti-people policies need to be changed and alternative policies need to be pushed if our country is to be saved from further disaster,“ said Sitaram Yechury, general secretary of the Communist Party of India (Marxist) while addressing the ‘People’s Brigade’ rally called by the Left Front. 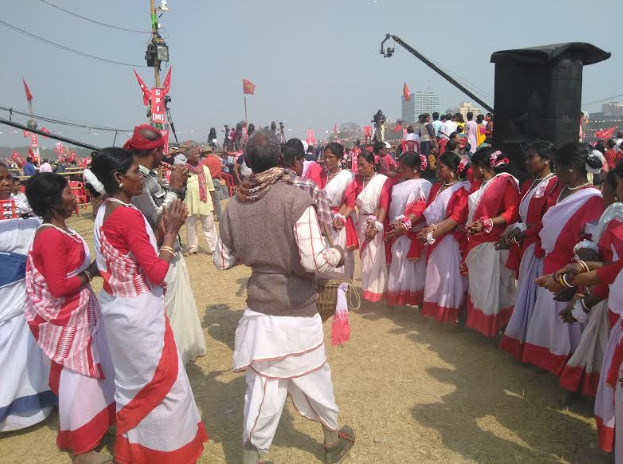 CPI(M) state secretary, Suryakanta Mishra, while referring to the million-strong people as “real leaders”, appealed to each one of them to reach out to at least 50 persons in their area to carry forward the pledge. Once the Bharatiya Janata Party (BJP) is ousted from the Centre, it will take just days to oust the TMC-run government in Bengal, he said, adding that it was the “covert” understanding between BJP and TMC that was keeping both the parties “alive”. CPI(M) leader and former State Minister, Deblina Hembrem, gave an inspiring speech and enthused the participants by speaking in her mother tongue, Santhali, and sometimes in Bangla. She highlighted the plight of tribals in the country who were struggling for food, education, housing and jobs, but were being treated like “display objects” for showcasing famous tribal dances. 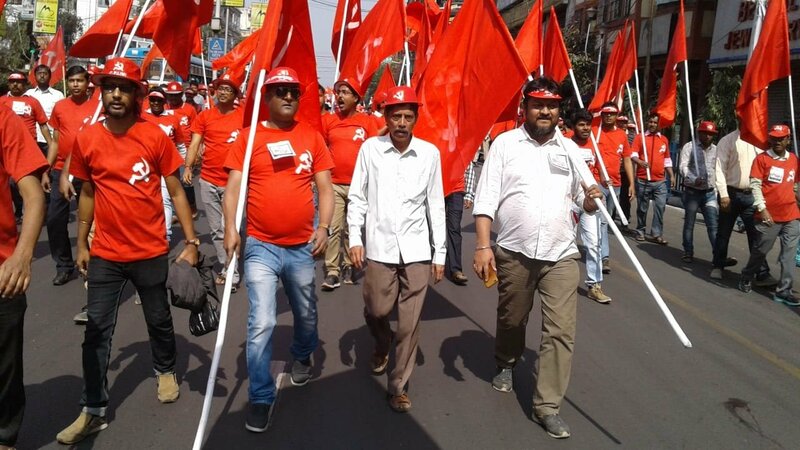 Communist Party of India leader Sudhakar Reddy said that a unified movement by Left forces and a people’s movement on the ground would change the dimension of politics in the coming days. Its effect would be felt in the coming Lok Sabha elections also, he added. 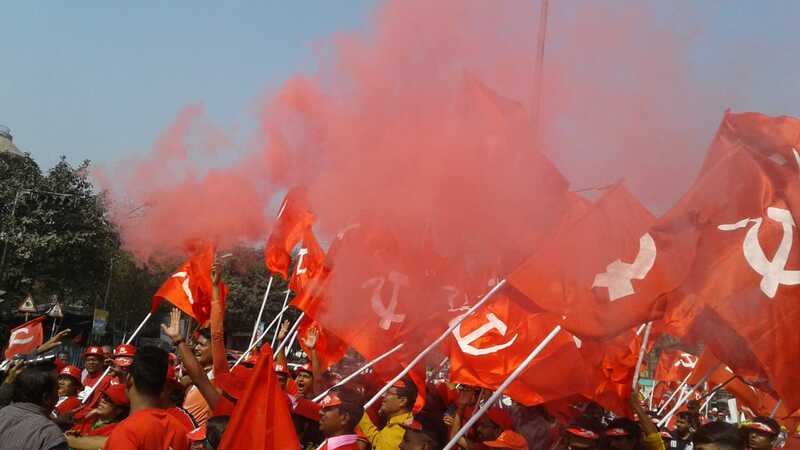 Revolutionary Socialist Party leader Kshiti Goswami said Bengal was passing through dark phase, and this huge rally would electrify the red flag bearers in their struggle to end the rule of the anti-democratic forces in the state and in the country.